10 sessions with Enterprise Ireland Mentors and attendance at Enterprise Ireland’s Excel at Export Selling training programme. Annual membership of Network Ireland. Leadership training programme with the Entrepreneurs Academy, a national entrepreneur development organisation that has trained and supported 30,000 start-ups and small businesses. Julie Sinnamon, CEO Enterprise Ireland, said: “A key focus for Enterprise Ireland is supporting companies to start, innovate and scale by realising their growth potential and global ambition. Female entrepreneurship in Ireland is currently at 20% – up from just 7% six years ago. This upward trend is very encouraging, but we want to see more women starting their own businesses and more women successfully scaling their existing businesses. 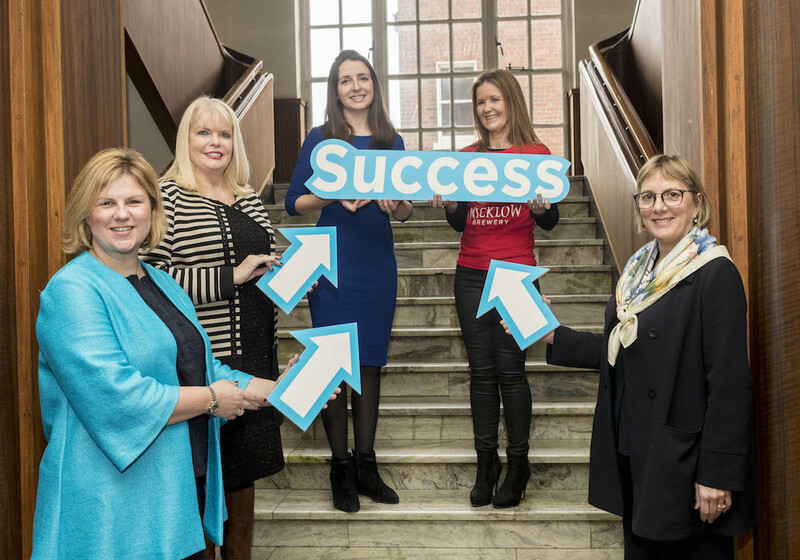 We are delighted to be working with Network Ireland, the Local Enterprise Offices and the Entrepreneurs Academy to connect with and encourage as many existing and potential female entrepreneurs as possible.” Enterprise Ireland:- Launch of Euro 1 Million International Entrepreneur and Graduate Competitive Start Funds. Iain White/Fennell Photography. Fennell Photography 2017.